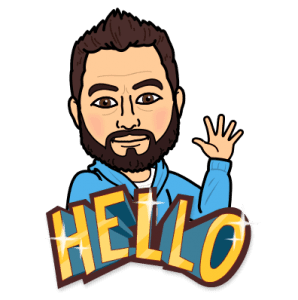 I thought I would start with some very exciting news…. Michael Wood has agreed to come to Canterbury to give an evening lecture on Tuesday 30 October 2018. The title is not yet confirmed but he will be speaking primarily about Theodore and Hadrian, thereby coinciding with a major new Anglo-Saxon exhibition that will be opening late October in London. 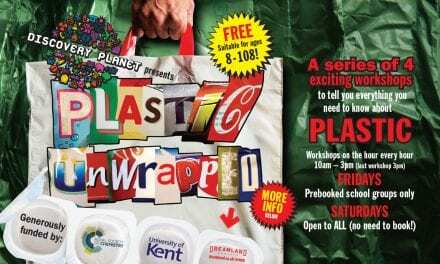 More details will be available soon, and proceeds from the lecture will go towards the fund for Canterbury Archaeological Trust that was set up after the three disastrous break-ins this month at the Trust’s store at Kingsmead. These have resulted in considerable damage and the theft of finds, including Anglo-Saxon artefacts, which the Trust had excavated and archived in over forty years of work in Canterbury and Kent. In addition, the Centre is again delighted this year to be hosting the annual Frank Jenkins Memorial Lecture, which will be given by Professor Paul Bennett MBE in Old Sessions House tomorrow Saturday 24 February. 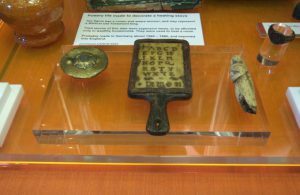 This event is run jointly with the Friends of Canterbury Archaeological Trust [FCAT] and the Canterbury Historical and Archaeological Society [CHAS]. Paul’s lecture will start at 6pm and, as always, it is an open lecture (a small donation requested), so do please come along if you want to find out what the Trust has been doing in the last twelve months. I’ll report on the lecture next week. 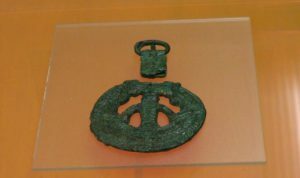 7th century buckle, previously on display in the Canterbury Heritage Museum. As a couple of weeks ago, the blog this time will feature several relationships the Centre is developing with others interested in the city’s, Kent’s and the nation’s history and heritage. However, first an apology if you have tried the short url for the ‘Maritime Kent through the Ages’ conference in late June. This will be up and running in early March at the latest, but the email and phone number given last week on the flyer do work, and Ruth at the CCCU box office will be delighted to take bookings. I’m very much looking forward to it because I think it will be a great conference. There is no need to book for the Friday night lecture by Richard Holdsworth MBE, just come along and there will be a wine reception beforehand, courtesy of the Dean of Arts and Humanities. 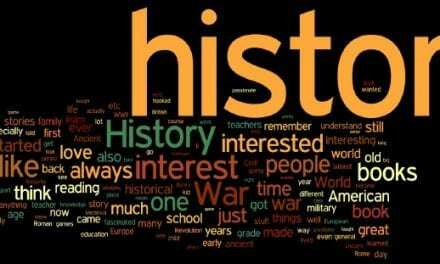 Another exciting conference the Centre is running as a joint venture is the one-day conference on Saturday 12 May with the Kent History Federation. I was at a meeting in Pluckley on Monday to discuss progress, and it was good to hear that people have started booking for ‘Tudor and Stuart Canterbury’. We have a brilliant line-up of speakers including Professor Jackie Eales (CCCU) and Professor Catherine Richardson (University of Kent), who with Tara Hambling recently published a fascinating account of home life in the houses and households of the upper ‘middling sort’ in late Tudor and Stuart England. This book is published by Paul Mellon and in addition to the thought-provoking text is lavishly illustrated with many colour photographs – each complementing the other. However, to return to the conference, there will be four talks in the morning, two on Tudor Canterbury, two on Stuart times and a fifth given by Avril Leach after lunch on Canterbury’s important seventeenth-century antiquarian William Somner. Then participants will set out on one of six guided tours that feature different aspects of Tudor and Stuart Canterbury, from exploring the impact of the arrival of the ‘Strangers’ to examining St Augustine’s Abbey after it was converted to become a minor royal palace. As always on such occasions, those attending will return to tea and cake at Old Sessions House. Booking is available by downloading the form and the full programme is also available at: http://kenthistoryfederation.org/ and these forms, too, will be available on the Centre’s ‘Future Events’ webpage very shortly. Tuesday brought another meeting, this time with Cllr Nigel Kay from Faversham Town Council because the Centre is working to provide a temporary exhibition at the town’s new Heritage Hub at 12 Market Place, opposite the Guildhall. It is hoped that this new space will offer a gateway to Faversham’s museums and other history & heritage sites, including such attractions as the Faversham Society’s Fleur de Lis Heritage Centre and English Heritage’s Maison Dieu at nearby Ospringe. As Cllr Kay pointed out, the town council has been speaking to the people from the Heritage Lottery about how best to put together a project that might attract funding and presently they are looking to build partnerships across the town and further afield, such as with the Centre at Canterbury Christ Church. Thus, these are exciting times for Faversham, as I reported a couple of weeks ago following Faversham Society’s History Fair, and there will be a follow-up meeting about the way forward for local history in the town, and more generally on the evening of Wednesday 7 March. 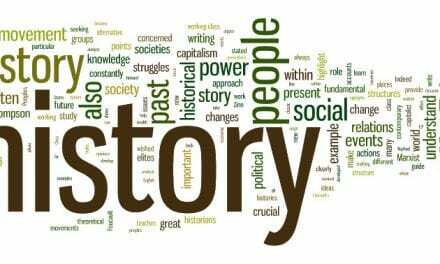 I am hoping to join Dr Ben Marsh from the University of Kent that evening because he is leading the ‘People’s History’ initiative that is similarly seeking to bring universities and communities together through an exploration of local history. However, to return to the meeting, it gave us, that is Professor Louise Wilkinson, Dr Diane Heath and I an opportunity to show Nigel some of the draft panels that we are envisaging in the ‘Medieval Faversham’ exhibition. 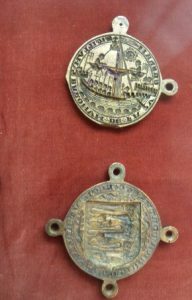 These will highlight important institutions in medieval Faversham such as the abbey, but also the treasures within the civic archives, especially the town’s charters and its custumal. Diane also talked about some of the activities that we might hold while the exhibition is on, including family days and school visits – some of you may remember the Centre has been speaking to one of the History teachers at the town’s grammar school about the curriculum followed by Year 7s, and how we might fit in with this. 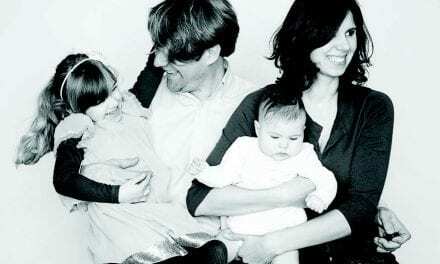 Consequently, the project is presently a work in progress, but as it takes shape, I’ll keep you up to date. 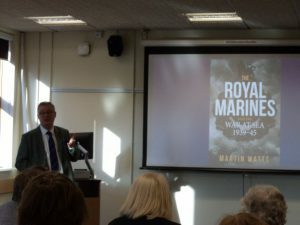 Keeping with the maritime theme, Wednesday saw the book launch of Dr Martin Watts’ history of the Royal Marines during the Second World War, looking at how they fought at sea, their relationship with the Royal Navy, and how they contributed to the final victory. 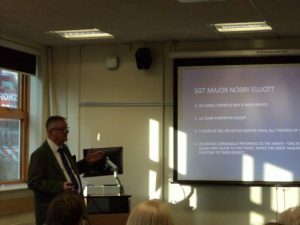 A packed room of colleagues, family members and students heard Martin describe how he built this history around the career of his great uncle Colour Sergeant ‘Nobby’ Elliott who during WWII served on HMS Carlisle, HMS Jamaica and HMS Glory, seeing active service in the Atlantic, Mediterranean, Arctic and Indian Oceans. Consequently, Martin was able to discuss the role of the merchant navy, both in terms of bringing goods, including food to England, across the Atlantic, as well as the supplying of Stalin’s USSR through the Arctic convoys that were as important politically as they were logistically. Indeed, Martin believes the damage wreaked by German submarines on the Atlantic convoys, in particular, was for Churchill the real ‘darkest hour’ because matters were still on a knife-edge until Spring 1943 regarding Britain’s ability to fight on. Uncle ‘Nobby’ was also at the Second Battle of Sirte, where he was mentioned in dispatches, as well as being part of Operation Torch, the largest operation of its kind before D-Day, and, as a gun layer, he was present on the Jamaica when she took part in the sinking of the German battleship Scharnhorst on Boxing Day 1943. Such naval engagements were at least over by the time he was serving in the Pacific theatre of war, and Martin explained how Uncle ‘Nobby’ was on board HMS Glory when the Japanese surrender was signed. Thereafter, he was involved in the collection of large numbers of British prisoners-of-war, who were repatriated via Canada. Overall, Martin was keen to demonstrate to the audience the significance of shipping, even today, and that nations neglect such aspects at their peril. Furthermore, the men (and women) who crew these vessels, alongside those such as the Royal Marines have been the unsung heroes in many cases. Thus, through the life of one man, Martin was able to show to the audience, and to those who read his book, the vital role of the merchant and Royal Navy. And, as Craig, who runs the Canterbury Christ Church bookshop and who had arranged the book launch, said afterwards, this had been a successful occasion, due in large part to Martin’s passion for the subject. Finally, and this, too, will get a longer piece next week, Hannah Warwicker, one of the Classics teachers at the King’s School in Canterbury brought along her Sixth Form students to Canterbury Cathedral Archives for a workshop to look at a range of medieval documents – from a charter of Henry II to the city of Canterbury that Thomas Becket witnessed, to what might be termed a ‘commonplace book’ from the 15th and 16th centuries, that has amongst its contents a copy of the laws of King Alfred the Great in Old English. The twelve students seemed to find the experience very interesting and I’ll include more on their visit when I have had some of their responses. Thus, this has been a very full week for the Centre and hence why it will spill into next week’s report.